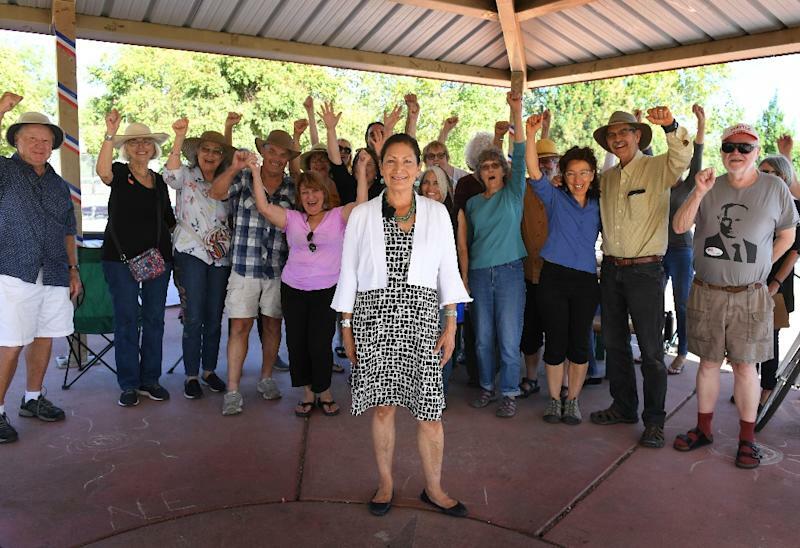 Washington (AFP) - New Mexico Democrat Deb Haaland, who became one of the first Native American women elected to the US Congress this week, says she plans to make the fight for renewable energy a top priority. A 57-year-old member of the Laguna Pueblo tribe, Haaland insists that indigenous rights are inextricably linked to climate change -- and vows to fight for "tribal nations ... battling the fossil fuel industry in their backyards." "Now, I'm going to take that fight for 100% renewable energy to Congress," Haaland said. "70 years ago Native Americans right here in New Mexico couldn't vote, can you believe that?" she told AFP. A recovered alcoholic, Haaland made ends meet with the help of student loans and food stamps to get through law school -- and hopes to be a "strong voice" for minorities and the poor. "Climate change is real and should be addressed immediately," the attorney and former MMA fighter -- also the first open LGBTQ Kansan elected to Congress -- told voters during the campaign.